4k00:11Irrigation, close up of water sprinkler spraying water on a grass lawn in the hot summer sun to prevent drought. 4k real-time. Dry season in tropical Thailand. Climate change global warming concept. hd00:09Water sprinkler irrigation system in a agricultural field. hd00:12Slow motion close up shot of a sprinkler watering grass field in the garden. CU SLO MO shot of water drops spread around sprinkler and reflect sparkling sunlight with green tree background. 4k00:17Irrigation System agricultural crops,landscapes. 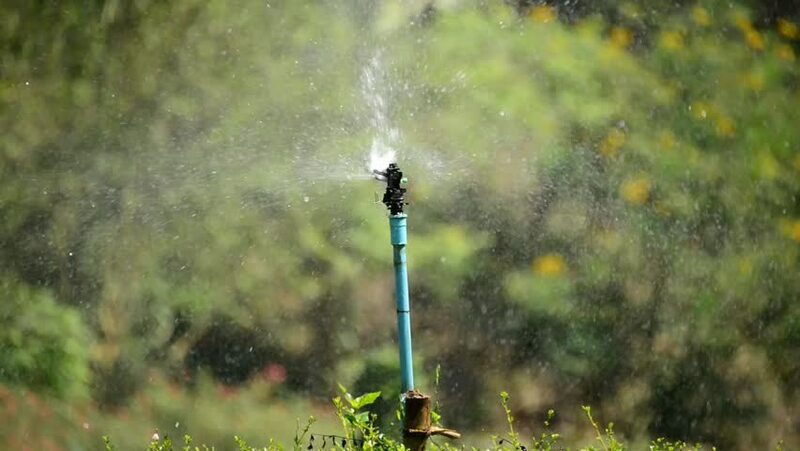 Modern, Efficient Irrigation Systems Save Money For Farmers. The leader in center pivot and linear irrigation, provides irrigation system options.